This is my insulin pump. It is my lifeline of sorts, in that it allows a steady rate of insulin to be infused into my body throughout the day. Also, it lets me add extra insulin to cover the carbohydrates I eat, and to correct any high blood sugar numbers that might happen from time to time. 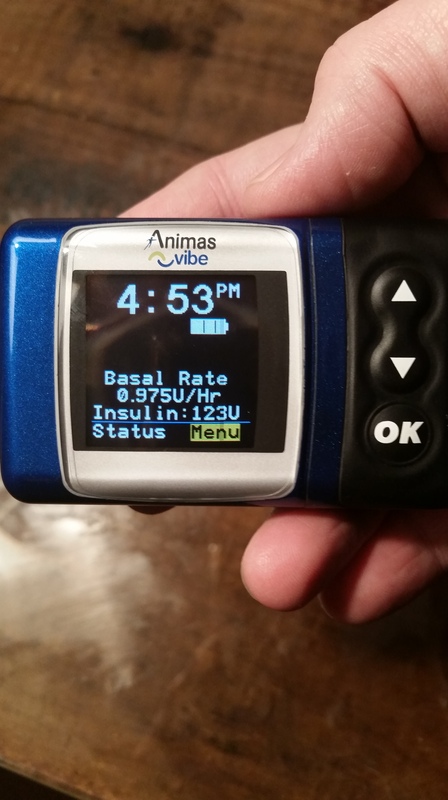 If you’ve never lived with diabetes… imagine this external device as part of your life 24 hours a day, seven days a week, forever. The only time it comes off is when you swim or take a shower. It can also add a level of concern about what might happen in the future, should something break, or should insurance stop covering some or all aspects of this therapy. It will also be the subject of additional scrutiny from TSA agents when you go through security screening at the airport. As I’ve found out firsthand, that’s including when you go through the TSA Pre-Check line. 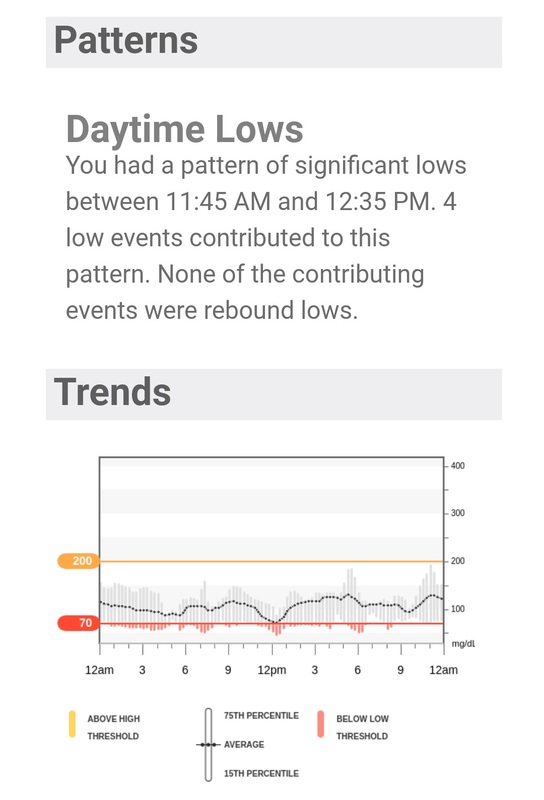 Here’s a Dexcom Clarity report. It gives me valuable information on glucose trending for the past seven days. 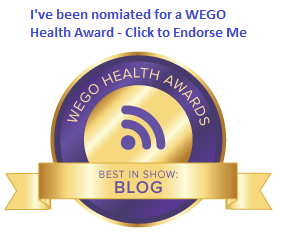 Among other things, it helps me to know if I need to consider changes to the basal rates on my insulin pump. If you’ve never lived with diabetes… imagine an extra level of concern about what might happen in the future, should the report not be as well as expected. Imagine living with concern over just the anticipation of a report or a simple lab test. Concern about the future is something I try to put in a box, safely stored away until the time when I might have to address it. Frankly, I don’t know if I could handle it if I started to worry about potential complications all the time. I have a quarterly appointment with my endocrinologist next month. I have a meeting with my primary physician a month after that. I’ve already been to the ophthalmologist this year. And I have to schedule time with a podiatrist and my dermatologist too. Meanwhile, there are prescriptions to fill. I have a couple of everyday medications that are refilled every 90 days. Add in the insulin I need, which I need to have refilled every 90 days too. Then there are strips for my glucose meter, sensors for my CGM, infusion sets and reservoirs for my insulin pump. My out of pocket expense for all of this, the amount that insurance does not cover, has passed $3,500 per year. If you’ve never lived with diabetes… imagine spending the price of a European or a Caribbean vacation every year just to stay healthy. Think about not finishing college, just so you can afford your medication and supplies. And that’s not counting the cost of the time it takes for all of those things mentioned above. If we handle all of this well (and who can do that all the time? ), we’re considered obsessive about our disease, making it a bigger part of life than it should be. If we don’t handle it well, we’re considered “non-compliant”, or worse. And that’s without any outside influences like stress at home or in our careers. In addition to a constantly vacationing pancreas, we go through these internal struggles too, all the time, every day. « This is my diabetes.